Montessori schools have many loyal devotees and they’re certainly rising in popularity among American parents. But are they any better than traditional schools, or other progressive teaching philosophies? You’d think we’d know the answer to that question by now. Montessori schools have been around for more than a hundred years, dating back to Maria Montessori’s first school for poor children in Rome in 1907. In recent years, there’s been a surge in new Montessori schools in the United States, fueled, in part, by new state laws that are expanding the numbers of publicly funded, but privately run charter schools. Yet there’s been very little rigorous research to prove that children learn more in Montessori schools than they otherwise would have. The main problem is that you can’t randomly assign some students to Montessori schools and study how they do compared with students at traditional schools. Parents get to make these choices, and it’s quite possible that the parents who choose Montessori schools are more academically inclined than those who don’t. Thanks to the expansion of publicly funded Montessori schools, with lotteries and waitlists to get in, researchers are now able to study the matter more rigorously. That’s because lotteries are, in effect, a random assignment machine. Some kids win a seat in a Montessori school. Others don’t. And you can compare the achievement of the lottery losers with the lottery winners. Recently, two peer-reviewed studies were published using this methodology. The results are mixed: promising for preschool, not so promising for older students in high school. In the October, 2017, preschool study, published in Frontiers in Psychology, six researchers looked at two Montessori schools in Hartford, Connecticut. Both were established by the state as public “magnet” schools, designed to be very high-quality Montessori programs that would attract wealthy families from the suburbs to low-income neighborhoods in Hartford. Some of the students who attended the public Montessori schools had family incomes as high as $200,000 a year. The students who “lost” the lottery all ended up at some other sort of preschool. Half of them attended a private school; others went to a federally funded Head Start program. To be sure, high-income kids outperformed low-income kids regardless of the school. But the researchers found that lower-income kids in Montessori schools had much higher math and literacy scores than the lower-income kids in other schools. Similarly, higher-income kids in Montessori outperformed higher-income kids in other schools, but not by as much. One question is whether it’s the Montessori method that’s driving the results, or whether these Hartford children benefitted from especially good teachers who would have gotten these results regardless of the teaching method. One theory is that gifted educators are particularly drawn to Montessori philosophy and study for the extra certifications. Even if it is the Montessori method, it’s unknown whether the whole complex system is required, including all the expensive wooden materials and step-by-step teaching techniques, or whether certain elements are driving the results. The two schools in this study strictly adhered to the original Montessori philosophy. Many other Montessori schools have adapted with the times, introducing technology, for example, and supplementing their instruction with non-Montessori curriculum and ideas. 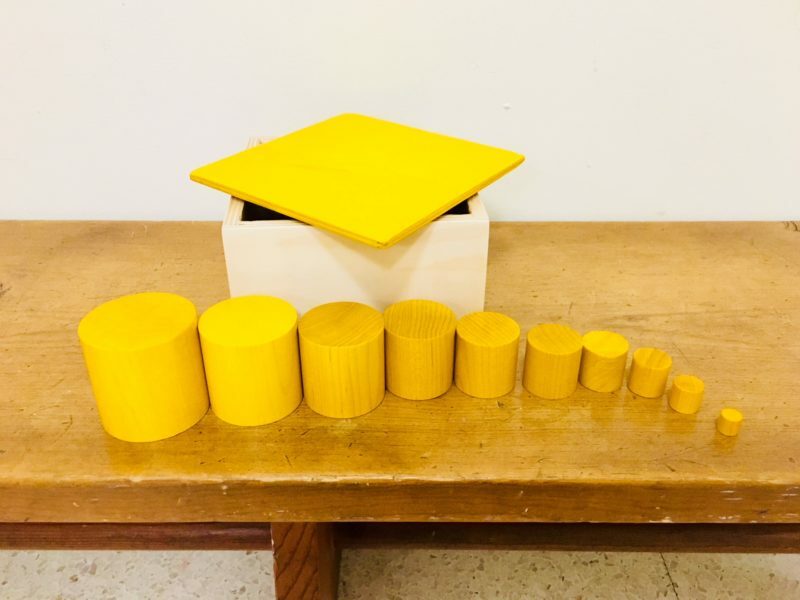 Angeline Lillard, one of this study’s six authors and a professor of psychology at the University of Virginia, hopes to build a body of evidence for Montessori by repeating these results in other cities. The Hartford study follows her 2006 Milwaukee study, published in Science magazine, which also found better results for children who won a lottery to attend a public Montessori school. In the Netherlands, Montessori high school students did no better or worse than traditional students. They finished their secondary degrees at the same rates with similar grades and final exam results. The author, Nienke Rujis, also found no differences on soft skills. Montessori students showed similar levels of motivation, and scored no better on measures of independence, “even though these are the main characteristics that a Montessori education claims to foster,” Rujis wrote. Lillard, who sent both of her daughters to a Montessori elementary school, suspects that uneven quality of instruction might explain why the Dutch Montessori schools didn’t prove their superiority. “I’ve heard about classrooms full of Montessori materials but the teachers had no training,” Lillard said. Considering the high demand for these schools, the quality probably isn’t too shabby. However, there is more variation among high schools, since the Montessori curriculum for older students is less standardized or prescribed. Another real possibility is that Montessori might work quite well with younger children, but the extra, early boost “fades out” as students from traditional schools catch up.